Hampton Square Service For 6 Only $29.99! (Reg. $117) Ships FREE! You are here: Home / Great Deals / Hampton Square Service For 6 Only $29.99! (Reg. $117) Ships FREE! Last day to order this lovely dinner set as a (wedding) gift or for yourself! 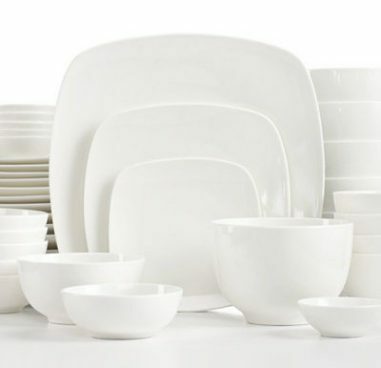 Get the White Elements Hampton Square Service for 6 for Only $29.99! (Reg. $117) Ships FREE!